Above: Victor Lawrence and Ron Carr. Below: Alan Turner-Morris. Copyright Pittwater Online News, 2011. All Rights Reserved. Victor: That would be 90% of it; the other stuff is the Search and Rescue. You’ve seen recently the sailor who disappeared off Warriewood (26/6/11). We were involved in the search from Sunday. We also had the Hawkesbury Division looking for two people up near Wiseman’s Ferry. 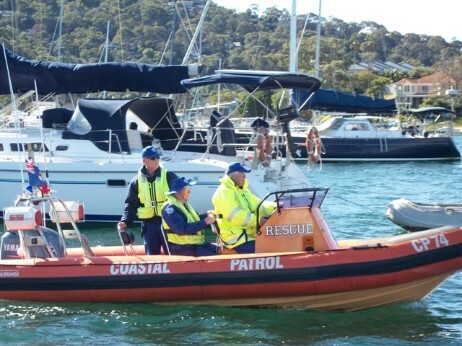 Our Lake Macquarie Division was looking for two people who drowned up there, so in the last month we’ve had five drownings. All these Units in various locations were involved in looking for these people. Unfortunately after 8pm at night you know you’re looking for a body rather then someone who may still be alive. That must be quite harrowing? It’s the sort of thing we train for; ok, it’s not very nice but we’re trained to do that sort of thing. If we do find a body we don’t actually recover it that becomes the role of the Water Police. If we find a body we call them and they take over. It’s very time consuming searching for people, you’ve not only got to be looking for them you also have to control the vessel. 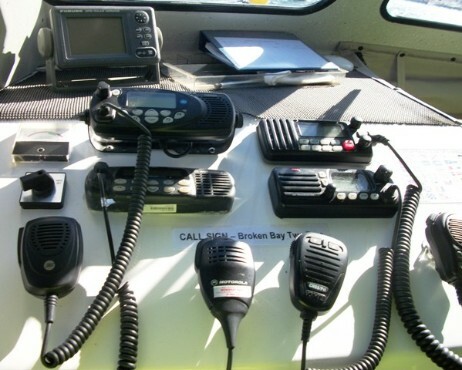 On the Monday two people were actually involved in steering and maintaining the position of the vessel and the other one was handling the radios and assisting them; normally we have three people looking. Quite often these searches are a multi-ship formation so we must all hold to the Search Pattern. We had ten boats in the line on Monday, and on the Sunday we had thirteen vessels in the line. 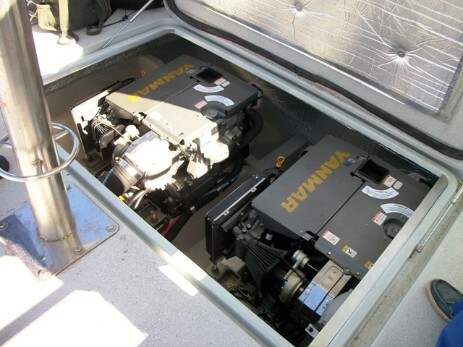 Now, depending on the sea conditions, you must maintain a very specific space between the vessels. Because if you’re a mile apart and you’re looking for a person you’re never going to see them; so that spacing is determined by the number of vessels, sea conditions, and the vessels must maintain that position. It’s a skill in its own right to maintain that proper pattern. Victor: The Camaraderie; this is a very very good division in terms of personnel. We get out in the middle of Summer onto Pittwater and offshore and it’s absolutely beautiful. Ron: there’s also Maintenance Day and even though that’s a very serious business, ensuring all the craft are 100%, it’s also got an element of Men’s Shed stuff. If something breaks down when you’re offshore you can’t walk to the nearest phone box and call for a part. What is one moment that sticks out or encapsulates the work you do here? Ron: the Watch that I’m on; it was the middle of winter, the rain was horizontal, freezing cold and we got called out to find four young boys who were about to wash up onto Lion Island in a big swell. So I think, that that day, we probably saved lives. We were the only ones out there. Victor: It’s not the good days. Mine would be we were out there at night, huge swells, looking for a fishing boat that had destroyed its gearbox. The really satisfying part of that was conditions were pretty bad in terms of the sea but due to our using and knowing the correct Navigation, if we hadn’t stopped we would have run right over the top of him. So that to me, being a Navigator, going out there with only a rough position of the vessel and being able to stop before we ran right over the top of him (Navigation takes into account the Conditions, not just the charts, and is adjusting all components to assess correct positioning). The days that stick in your mind are not really the days when you’re out there in magnificent conditions, it’s the nights you’re out there in the bad conditions. Coming back into the bay in fog; being able to get yourselves back in. The night we brought our vessel down from Port Stephens; horrendous conditions, something like twelve hours of them. At the end of it, when we got on the wharf, everyone had a big grin on their face; we did it! And then couldn’t sleep due to the adrenalin left. Do you ever think in those situations maybe we should pull into port and wait until this over? Victor: It depends on the conditions. It comes down to the confidence you have in your vessel and the confidence in yourself and your skills and your crew. A lot of those in BBMR have taken skills from their previous careers forward into their roles with the Organisation. There is a lot of expertise within our group; 2 x Qantas captains, ex-managers from Corporations, ex-Master whose been on the water all of his working life, electricians, IT specialists, accountants, a doctor. There’s an enormous pool of talent. Mess meetings are held every six weeks and every member is expected to attend; these bring all members up to date on what’s going on in the Unit. We may get instructions from the Commissioner; so those are explained. The Operations Officer will give a report. On the way back to the wharf, one of us lost a cap; the boys turned to ‘rescue’ it, demonstrating the Anderson turn, which is one of the turns used for saving a person overboard. Victor: An Anderson turn is used only in daylight and only used when you can come back into wind and is simply 360 degrees. 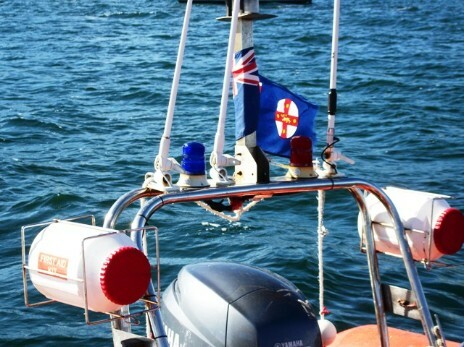 The other term we use is the Williamson Turn and this is used only at night-time; depending on which side the person went overboard; if they went over on the port side, you turn to port and when your nose (boat) reaches 60 degrees you come right back around; what that does is bring you back down your wake; so that’s why we always use that at night-time. 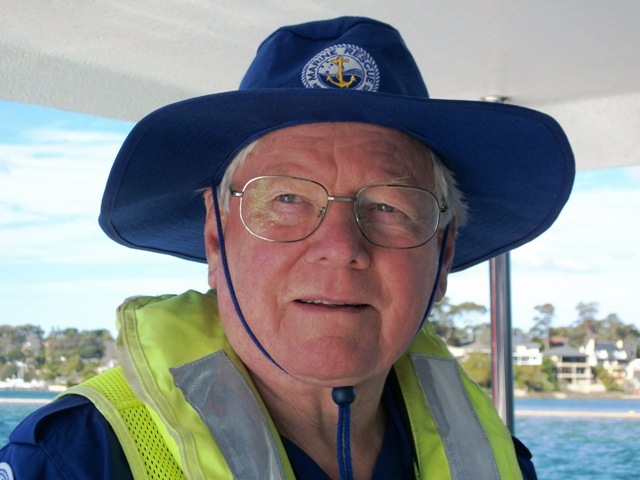 Broken Bay Marine Rescue, whose patron has been Robert Stokes MP for the last two years, will be holding Long Service Awards later this year with 19 members receiving acknowledgement of 10, 20 and 30 years service with BBMR. The gents informed us they are nicknamed ‘Dad’s Navy’ by some around the bays. This would only be until their specialist skills and assistance are called for. Respect for their skills and knowledge, gratitude for all whom they have saved, for the gap they fill, Voluntarily, is a more accurate picture of one of our finest Organisations. Our thanks to our Hosts: Victor Lawrence, Unit Commander and Master Skipper Level 3 , Ron Carr, Boat Master (responsible for all Maintenance of vessels) and Master Skipper Level 3 and Alan Turner-Morris, formerly of Royal Navy, where was Electrical Lieutenant, who also has two roles on Maintenance Crew and as PR Officer. 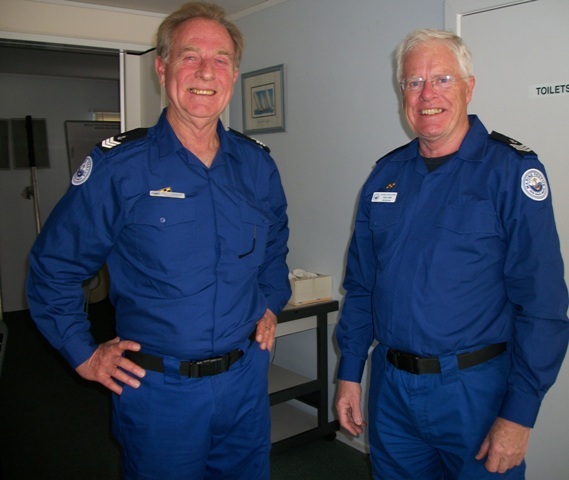 They are our Profile of the Week.